Over the past 5 years, smartphones have had a big impact on the photography industry. Not only are they replacing your average compact camera but they are also prompting camera manufactures to integrate some smartphone-related features into their own products (touch screens, Wifi, etc). Some camera brands have even responded to the increasing “mobile photography” trend by introducing some original products that work in tandem with your iOS or Android device. For example, we’ve seen smart lenses from Sony and Olympus and recently the DXO One. 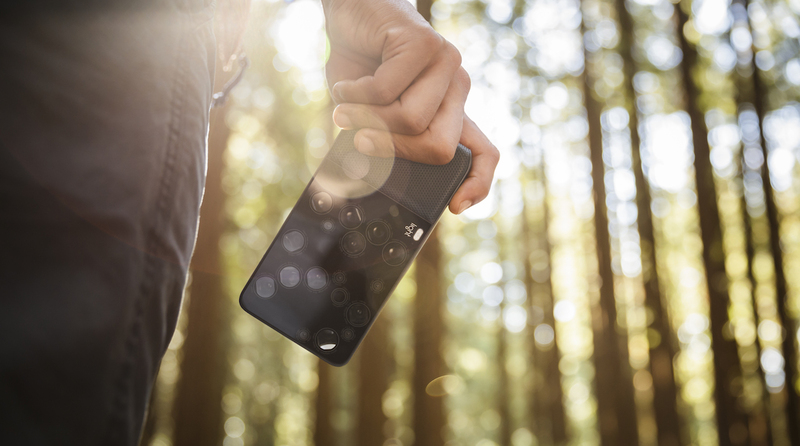 The Light L16 is yet another photographic device inspired by the popularity of smartphones. Here, however, the philosophy is somewhat different. Rather than being an alternative to your smartphone or camera, the L16 has been designed to combine both into one. Now, this begs the question: how can that be possible? 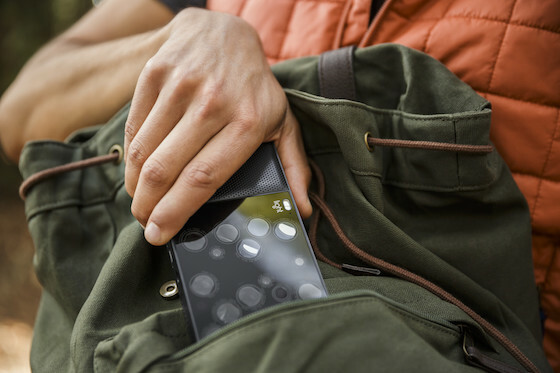 The L16 has the appearance of a smartphone but you will immediately notice something unusual when you look a little closer: there are a lot of transparent circles built into the front. 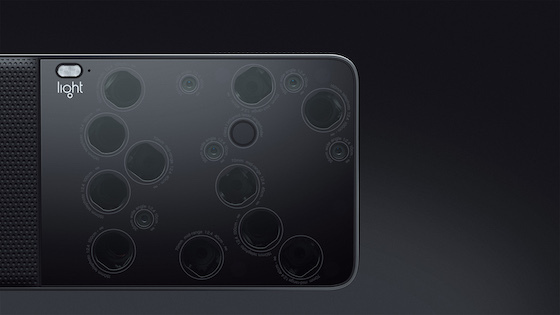 Actually, the L16 is a body that, as the name suggests, contains 16 individual sensors, each with its own dedicated lens. The trick is that 10 of these 16 modules will fire 10 shots simultaneously. The software then fuses the resulting images to create a high quality final shot of 52 megapixel. It sounds crazy but it is as real as the laptop sitting before me. Light is a start-up company founded two years ago by Dave Grannan and Rajiv Laroia after years of experience in mobile technology. 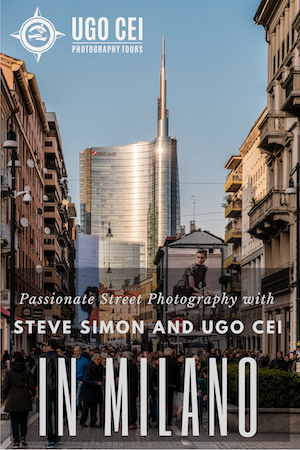 Sharing a passion for photography, they decided to design a camera that would break the trade-off between a DSLR/mirrorless camera and a mobile phone. Instead of designing something similar to what is already available on the market, Grannan and Laroia decided to start from scratch and began to experiment with optics technology with their efforts concentrated on the mobile phone industry. The result is a camera that looks like a smartphone but can do what an interchangeable lens camera can do. So how does it work exactly? 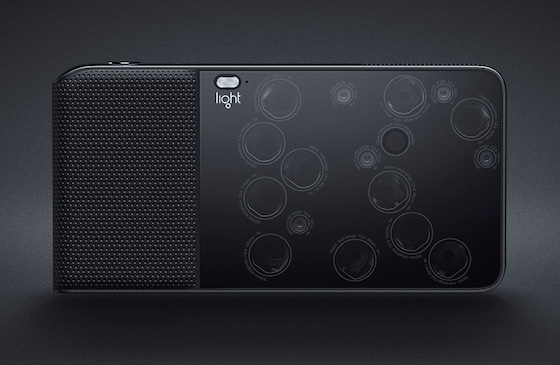 The camera has 16 camera modules that give you a total focal length coverage of 35mm to 150mm. Five modules have a 35mm lens, five have a 70mm lens and the final six modules have a 150mm lens. In other words, it is like having a 35-150mm zoom lens and three primes lenses in your bag. In this case, however, you only need to carry a single device to access this focal range. Each module has a 13 megapixel sensor. The 70mm and 150mm modules are based the same concept as “folded optics”: the lens and sensor are perpendicular to the direction you are shooting and capture your image via a mirror positioned at 45°. The aperture of each lens has not yet been specified, although f/1.2 has been mentioned in the press release (more on this later). According to the video presentation, it is very easy to use: you zoom in by pinching with your fingers on the rear touch sensitive screen and take the shot. Depending on how much you zoomed in, the camera will use the appropriate elements to create the shot. The L16 will capture several images at the same time and combine them together to create a high resolution photograph. What is interesting is that the camera uses different focal lengths at the same time because each module has its own sensor/lens. This allows you to adjust the depth of field (change your focus point) after taking the shot. 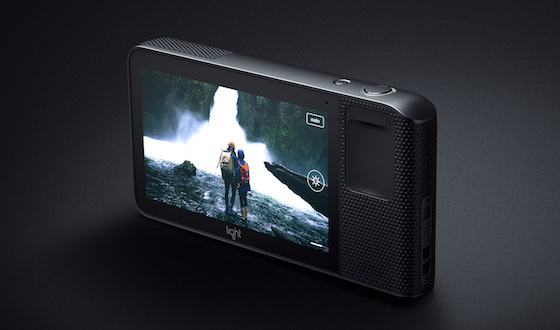 The philosophy is similar to that of the Lytro camera (although with a complete different kind of technology). This is where the f/1.2 value comes in – Light stated that you can vary the depth of field down to an equivalent 1.2 aperture for portraits. 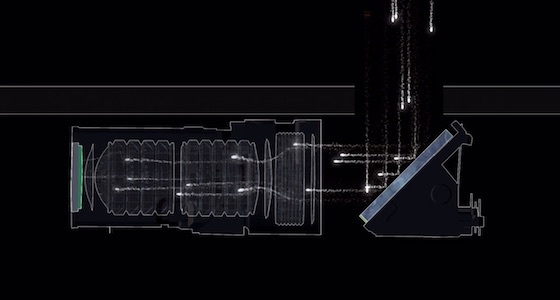 It is not clear if this aperture will be valid with every zoom/module combination or not. Combining shots from different lenses that are at slightly different positions also means that the L16 will combine different perspectives. According to Light, this will contribute to optimising the final image quality output. The fusion of multiple photographs should also give better low-light performance. The idea behind the L16 is in the end quite simple: by combining a range of different lenses into one single body, you don’t need to carry around additional lenses with you, nor do you need to change them. Light is also relying on the fact that the final image has lots of resolution. You will be able to crop without losing too much quality and therefore extend the reach beyond the 150mm focal length. The interface of the L16 looks as if it has been downgraded to the bare essentials. There is a power on/off and shutter release button on top, a thumb rest on the rear that seems to double up as a zoom toggle, and a large 5-inch touch LCD screen where you can control the exposure and possibly other settings. You will be able to edit your image after taking the shot (crop, change the focus point and perhaps adjust other things). The camera also includes WiFi to share the image right away. Can it be a game changer? Of course, to answer this question, we will need to wait and see what the first reviewers have to say about it. For now, I admit that there are questions that need some answers. First, since the camera is combining multiple shots into one, will it work with fast moving subjects? In one of the official video presentations, Light does show the camera taking pictures of a skater so it seems that the software processor can handle this kind of shot. Second, there is the price of $1699. If you pre-order the camera now, you get a $400 discount (ends on November the 6th) but we are still talking about a more than $1k camera (it will be available in summer 2016). The Sony RX100 is probably as portable and can do so much more, not only for stills but also for video which is one of the major selling points and can’t be ignored. Light didn’t mention movie recording at all in the press release so it is yet to be seen if it will have this functionality. Then there is the recurring argument concerning the use of a photographic device that tries to replace your smartphone. The problem is that you will always carry your smartphone with you anyway. And with the rapidly increasing image quality and video capabilities of every new iPhone, Samsung Galaxy and so on, I wonder what tangible advantages the L16 will bring, not only in terms of image quality but also sharing capabilities. The L16 is an additional device that you will have to carry around to take photographs, but you can do the same with an RX100 or a similar camera – even a Panasonic GM5. Yes, the L16 has the advantage of having many different lenses in one package but we are definitely not talking about the same optical quality. Actually Light and other reports mentioned more than once that the lenses are made of plastic. If we add to this the fact that the different sensors are definitely small in size, we may not see a real advantage at all (although the first samples on the official website look promising). Personally, I think that it is great to see a young company trying to design something radically different and original. After all, there are some popular lenses designed specifically for the iPhone like the Moment lenses, so designing a similar camera that already contains different focal lengths is not a bad idea. The most difficult task now will be to demonstrate its efficiency and the concrete advantages it can deliver to its user base. Below you can watch the two official videos about the Light L16. You can also check out more information and see some image samples on the official website.